A grilled steak is a thing of beauty, and if it is a good cut of meat, is rich with flavor. However, you can take it up a notch (or mask mistakes) by adding an interesting topping. A steak topping is a way to make any steak better whether tender or tough, thick or thin, rare or well done. From flavored butters to rich sauces, these recipes add a whole new layer of flavor to any steak you grill. A compound butter (butter mixed with flavors) is the perfect topping for a hot and juicy steak, and this recipe including sage and garlic complements the beef perfectly. The ingredients are mixed together and then left to set in the refrigerator for a few hours. Once the steak is cooked, a dollop of the butter is placed on top to slowly melt and bring extra deliciousness to the beef. What would happen if butter and guacamole got married? This delicious steak topper! Butter, avocado, lime juice, parsley, chives, and salt are processed together until a smooth but slightly chunky consistency forms. You can either simply spoon on top of the cooked meat, or form into a log, chill, slice, and place on top the hot, juicy steak. We all know red wine goes perfectly with steak, but shallots are also a great match; the subtle flavors of onion and garlic are the ideal complement to the richness of the meat, especially filets and ribeyes. Dijon mustard rounds out this compound butter, with a bit of olive oil for added smoothness. Fresh herbs are what make this butter stand out, and the lemon juice and zest give this topping a refreshing bent and a bit of zing. A combination of thyme, basil, parsley, and oregano blend nicely together and work perfectly with the citrus. Mix the ingredients together, allow to firm up in the fridge, and then add a scoop to a sizzling steak. Feel free to adjust the heat level in this flavored butter that is a nod toward Mexican cuisine. The jalapeno, lime, and cilantro combine perfectly and bring a bit of freshness and spice to any hot and juicy steak (or chicken or fish). Refrigerate until firm and then add a spoonful to your cooked meat. Although there are several layers of flavor in this compound butter, each one supports and works beautifully with the other. Creamy Roquefort cheese complements the crispiness of the bacon crumbles while the shallots and chives work well with the Worcestershire sauce. The saltiness and umami could not be a better match for a big piece of marbled meat. For a twist on a surf and turf, try this creamy crab mixture on top of your thick and juicy steak. Named after a Swedish king, this crab topping was originally served on veal but is equally delicious on top of red meat. The combination of crab meat, lemon juice, hot sauce, sour cream, mayonnaise, and seasonings is not only easy to prepare but incredibly flavorful. 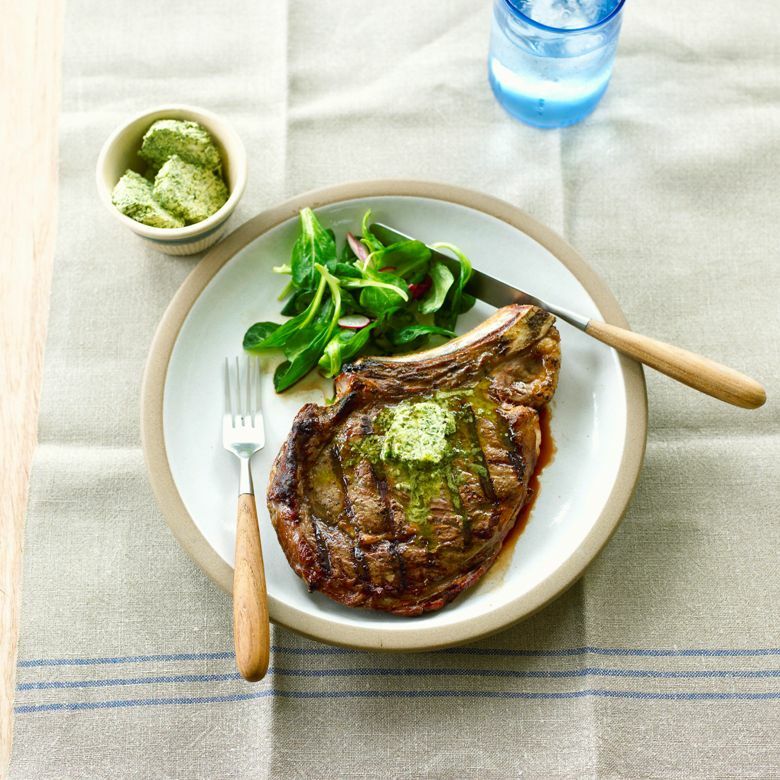 Blue cheese can really add flavor to a steak as the combination of the beef flavor with the salty tartness of blue cheese really stands out. And due to the richness of the sauce, a little goes a long way. Heavy cream, blue cheese, and Worcestershire sauce work together to make a delicious topping for grilled steak. A little drizzle is all you need to bring your steak up to the next level.